In the classroom, I’ve picked up a few Chinese phrases that the children say quite a lot. One of these is shénme [shuh muh]. This is Chinese for ‘what’. One student in particular, if he doesn’t understand something I say, he says shénme to me. Another phrase I hear quite a lot is gĕi wŏ [gay woh] which means ‘give me’. This is usually said when one student has something the other student wants. Another interesting thing I have noticed is, for example, is if they are colouring something and I ask what colour do they want. So many students LOVE the colour yellow! Half the time they pick this one… and I don’t like when they are using yellow, because when they start, they realise the colour is too bright and they can’t see the colour on the paper, meaning they end up taking another 2 minutes picking ANOTHER one out, usually a dark brown. It’s also amazing to see how the 3-6 year olds love hugging you and being held. It’s quite a nice feeling, to know that you actually mean something to them (however small that may be). Two girls I teach live a few floors up from the campus, so sometimes when they are passing, they come and say ‘HI AISLING!’ and off they go again. One student offered me a biscuit and the other gave me a green, thin (almost like paper) thing, which smelled remarkably like fish. And the parents have even passed the ‘utmost importance’ of drinking warm water down to their children. One student, she’s 6, brings in her flask with her warm water to class. 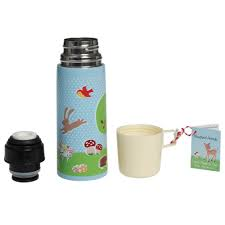 There are flasks specifically designed for children, which Mickey Mouse and other cartoon cartoons on them. Sometimes during a 1 and a half hour class, I would ask them do they want some water. Sure enough they add cold AND hot water from the water dispenser. First of all, at home, we rarely have water dispensers. Anyway, if we did, I’m pretty sure not many people would drink the hot water. They are obsessed with hot water. Chinese people think, if you are sick…. “you should drink hot water”. If you have a cold….”you should drink hot water”. If you have a headache…”oh… you should drink hot water”. And during the winter I have heard, numerous times…”you should wear more clothes.” Now I’m not here wearing shorts and a t-shirt. I’m wearing proper clothes, like with a coat and scarf. But still I’m cold. Once I say “It’s cold today!”….. the reply is, “you should wear more clothes”. You just can’t win! We also have our teambuilding workshop, ie; going for hot pot together. I love hot pot, so we are going there after our classes have ended. Oh and its getting hotter. In the mid 20’s now. I can just about bare this heat, imagine what I’ll be like when it hits the 30’s! The Chinese and their sports. The Chinese love their badminton and their table tennis. Once the sun is shining, you see adults and children playing badminton inside their apartment complex. Then at night, you hear the (now familiar) sound of table tennis/ ping pong being played. One of the teachers bought a badminton and table tennis set, so I tried my hand at table tennis. I have never played it in my life, so I was prepared to be terrible. At first I wasn’t great, but then after a few practices I actually started to get better! So much so, two of the teachers (who are really good at it and play a lot) were shocked that I never played it before, and said I was good! Apparently I’m good at hitting the ball exactly at the corner of the table, and that I can switch from hitting the ball from one side of the table to the other. Although I’m not great at serving, and I get a bit too carried away with the ball and hit it too hard, ending up sending it flying to the other end of the room. But…practice makes perfect. I’ve also purchased a new bike! I thought it would be a good investment because I’m here for a year and I will get exercise too. Also, there is no need to wait for the bus that is unpredictable. I think the hardest thing about cycling on the roads here is first of all, the roads. Some are in really bad condition so I have to make sure I don’t hit any of the big holes. Second, crossing the roads. It’s difficult because although the green light is on for me to cross, other cars coming from a different direction are also allowed to move, so I have to contend with that also. Third, people stepping/ cars and tuck tucks driving out in front you. I know it’s like this all over the world, but Chinese laws are quite relaxed with rules of the road, so I have to be extra careful. Other than that, it has been a non exciting week. On a bad note, our campus has been split into two different campuses. Our old one was split into two and they were just down the hall from one another. (When the main campus was full, we had our class in the adjacent smaller campus). But our lovely landlord decided to sell the main campus to another person, and he kicked us out. So that means we had to look for a new one, while keeping the smaller one. The smaller one doesn’t even have a sitting room for the parents, so they have to sit outside the classrooms. Not ideal at all. The new campus is a lot bigger, with a big foyer for the parents with a big sofa, and 6 classrooms. So myself and two other teachers are mainly based in the small campus, while another 2 are situated in the new one. The rest are split between the two. I’m not really happy about it but we have to stay in the small one until November, then we can see what we can do. Since coming to China, I’ve been more aware of my accent. Many Chinese people want either the typical posh English accent that the Queen has, or the American accent. So my Irish one doesn’t fit either of them. For instance, I was teaching two of my students ‘Is this a chicken?’ ‘No, it isn’t. It’s a duck’. So I went to tell the parents what I was teaching them. Although they were speaking Chinese to the translator, I heard her say ‘dock’. This is how the Chinese say ‘duck’. So basically, because I was from Ireland, she presumed I was saying it wrong, whereas the correct pronunciation (to her) was ‘dock’. So with this idea of my pronunciation being wrong, I decided to ask the different teachers how they would say it. Sure enough, they all said ‘duck’ the same as me. Another example was when I was teaching them ‘in the bin’. It was the same parents again, and as soon as I showed them what I was teaching, they interrogated the children. But the parents kept saying to them ‘een the been’, overemphasising the (non-existent) ‘e’ sound… and totally ruining my hard work with the students. Another example was when I said the word ‘umbrella’. I pronounce this as it’s spelt. A Chinese worker was observing one of my adult classes and he noted that I said the ‘um’ differently to him. He says it as ‘ombrella’ like most other Chinese people. The worst part was, he made me feel as if I was WRONG, that (even though I’m a native English speaker) I MUST have been saying it wrong, and that ‘ombrella’ is 100% correct. But rant over, just a warning to other English teachers, people might say something about your accent and how you pronounce things. Also in the campus, I’ve noticed that a lot of things I say, they mean different things to the other teachers. For instance, for me, If I was really tired, I would say “I was knackered yesterday”. However I found out that to people from England, they would interpret this as “ I was drunk/pissed yesterday”. There are a few more differentiations which I can’t remember, but will post when I do. 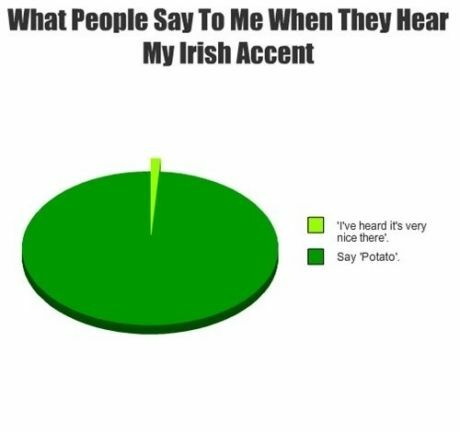 Although my Canadian co-worker says he loves my accent, which makes me even more aware of it! Also, I’m 24 today. My first birthday away from home… and just like last Christmas, it just feels like a normal day.